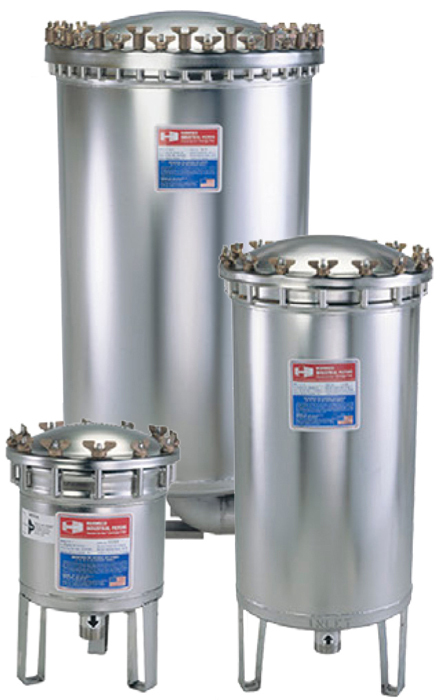 Harmsco® HIF Series SS Commercial/Industrial Filter Housings | Applied Membranes Inc.
Housing up to 200 filter cartridges and with flow rates up to 800 GPM, Harmsco HIF series up-flow stainless steel filter housings are ideal for use in high-flow applications. The 304 stainless steel construction and electro-polish finish are standard for added resistance to corrosion. 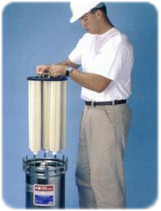 To be used with Harmsco filter cartridges, available in an extensive selection of micron ratings and media. Harmsco HIF stainless steel housings are designed with a patented Up-flow technology which prevents the accumulation of air inside the filter housing keeping the filter operating at 100%. Temperature Rated to 140°F (60°C) with Standard CPVC Rods, Pipe Caps and Standpipes. 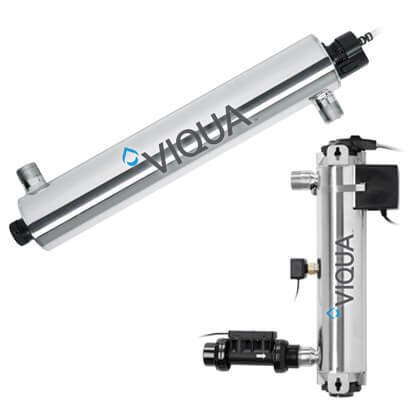 Optional All-stainless models and high temperature cartridges are available for temperatures up to 200°F (93°C).